Item # 317175 Stash Points: 2,795 (?) This is the number of points you get in The Zumiez Stash for purchasing this item. Stash points are redeemable for exclusive rewards only available to Zumiez Stash members. To redeem your points check out the rewards catalog on thestash.zumiez.com. Give your wardrobe an eccentric new fashion-forward look with the Mishka Peaceful Eye Black T-Shirt. 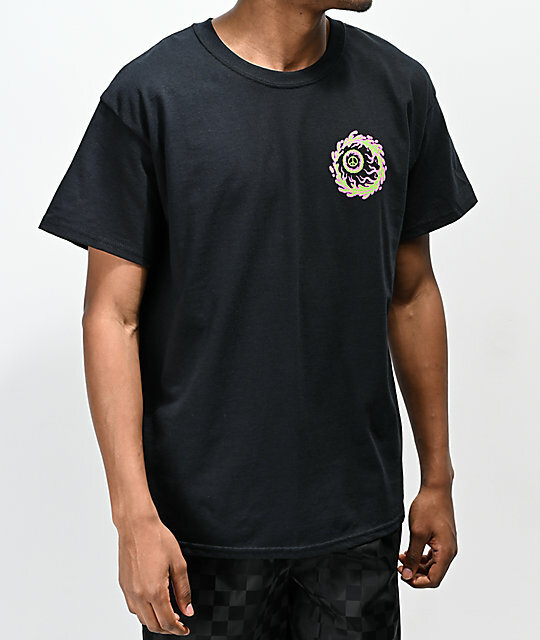 Tagless and relaxed fit for comfort, this all-black t-shirt comes with screen-printed images of eye balls with peace signs for pupils at the left chest and back for an organically original look. 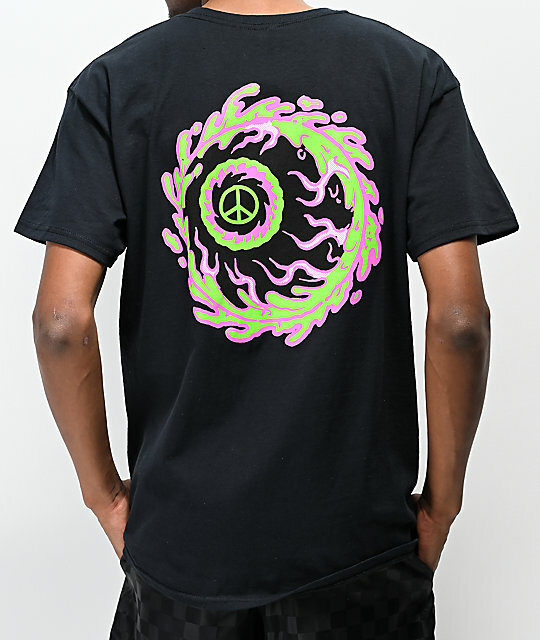 Peaceful Eye Black T-Shirt from Mishka. 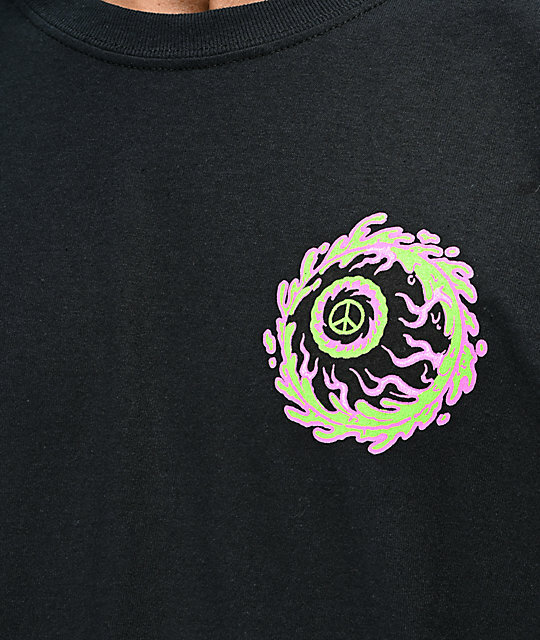 Screen-printed eye ball graphics at the left chest and back with peace signs at the centers.